Based on a novel by Richard Rashke, “Escape from Sobibor” is a gripping account of the largest prisoner escape from a Nazi Death Camp during World War II. It is the story of the mass escape from the extermination camp at Sobibor, the most successful uprising by Jewish prisoners of German extermination camps (uprising also took place at Auschwitz and Treblinka). The film was shot in Avala, Yugoslavia (now Serbia). Directed by Jack Gold, the film received 2 Golden Globe awards for ‘Best Mini-Series or Motion Picture Made for TV’ and ‘Best Performance by an Actor in a Supporting Role in a Series, Mini-Series or Motion Picture Made for TV’ for Rutger Hauer. The film was also nominated for in the Golden Globe for ‘Best Performance by an Actor in a Mini-Series or Motion Picture Made for TV for Alan Arkin. It was also nominated in a number of categories for the Primetime Emmy Awards in 1987. In 1988, the film won in the Adapted Long Form category at the Writers Guild of America. It’s not the best choice if you’re looking to watch a light, feel-good flick. Many audiences today seek to escape, watching fictional stories set in the present or future. 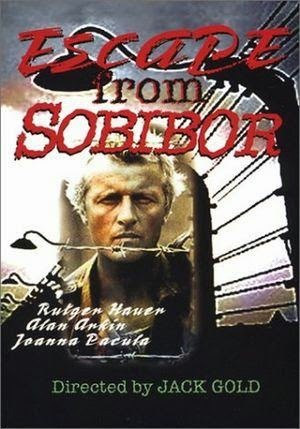 An account of past events, “Escape from Sobibor” may be, on first impression, hard to enjoy. But with multiple award nominations and blast-from-the-past performances from veteran actors like Rutger Hauer and Alan Arkin, it’s definitely worth a watch… especially when you can see it for free online.